Pinnacle Service's & Assoc. Inc. Comment: Some patches of grass in my yard have grown very high so I would like the whole yard to get mowed down. Comment: Wooded area of yard needs leaf and tree debris clean up. Comment: Property is an acre but only looking for leaf removal in the back yard. It is at most a 1/2 acre of leaf removal, probably a little less. Looking for leaves to be removed from property. Comment: I live in a wooded area and need the leaves in my back yard gathered and removed. The area that needs servicing is only about 1/2 acre. I will need someone in about 2 weeks when all the leaves have fallen. Comment: Lawn is a bit overgrown out back due to pooling water on one side. Parkesburg Lawn Care Services are rated 4.70 out of 5 based on 1,908 reviews of 20 pros. 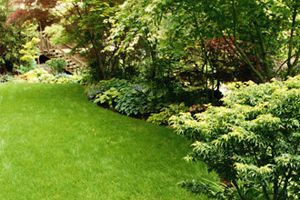 Not Looking for Lawn & Garden Care Contractors in Parkesburg, PA?